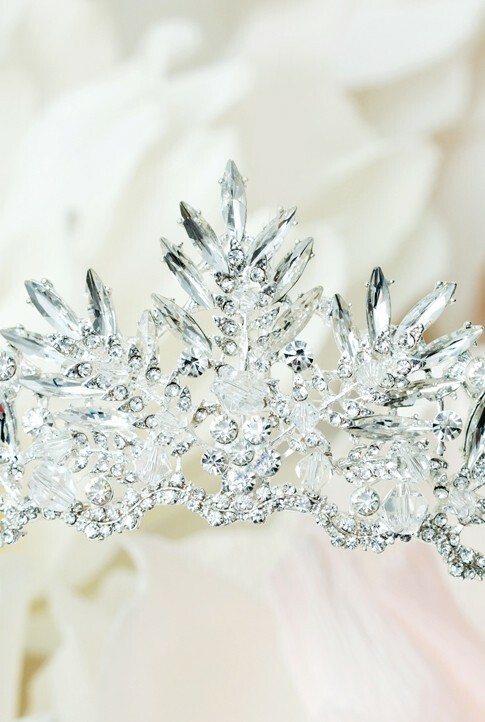 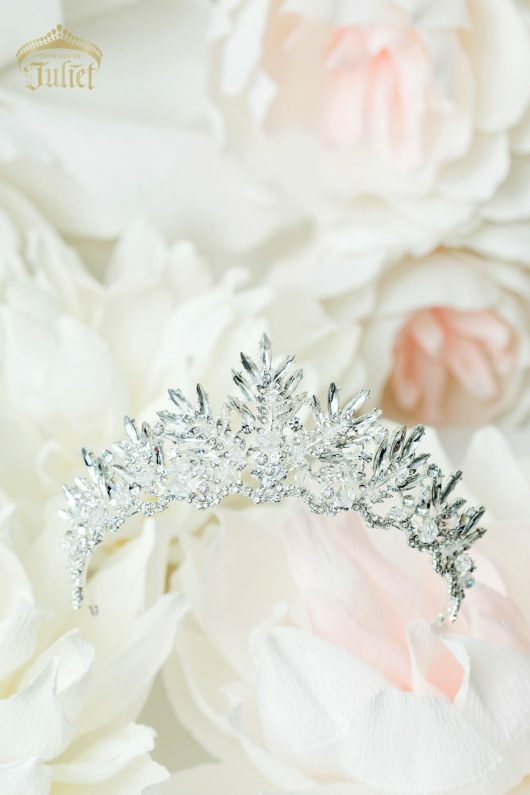 Dozens of marquise-cut Austrian crystals make up the ‘icicles’ of this absolutely gorgeous, glimmering tiara. 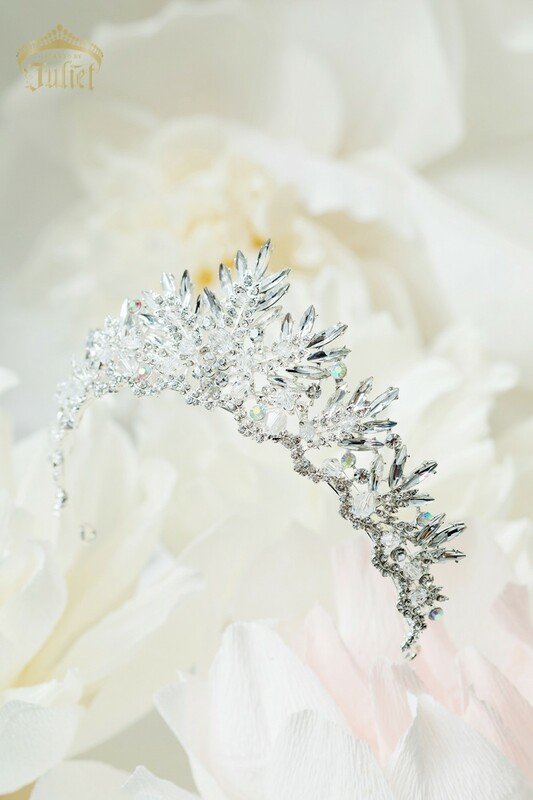 Accompanying the many marquise crystals are brilliant-cut German Aurora Borealis rhinestones and a crystal pavé scallop trimming the bottom. 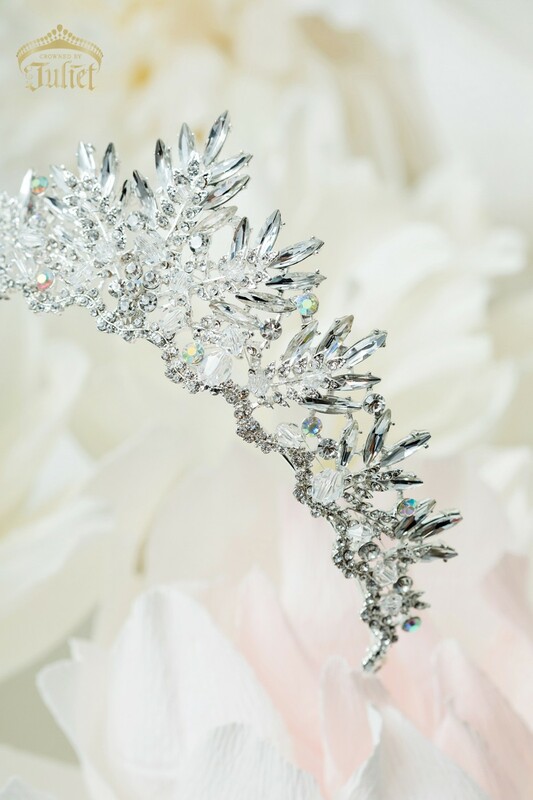 The NATASHA GLACE tiara is a breathtaking piece of jewelry that will create a sensation around anyone who wears it. 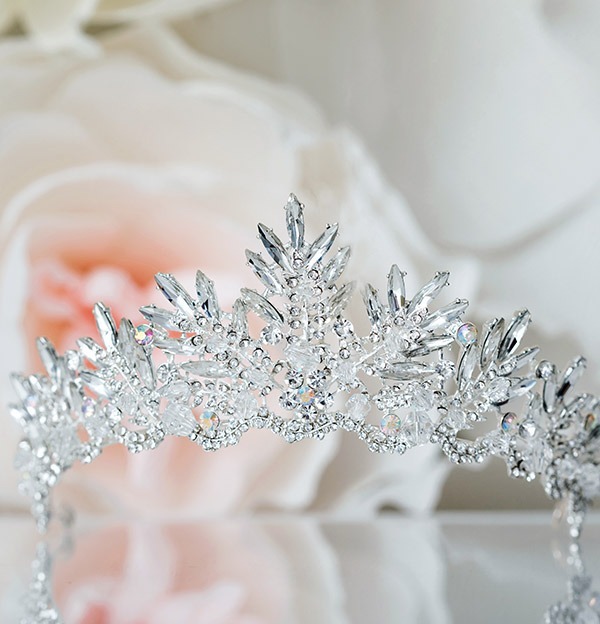 Weight: 91 grams / 3 oz.